Real Jobs: In working with our members, RIMA was able to secure funding to support the mission of providing a training mechanism for our members. For the first time RIMA endorsed a candidate for Governor. Our basis for endorsement was due to the jobs that were created by the Administration in the manufacturing sector. RIMA testified on behalf of the various CommerceRI initiatives to create tax incentives for businesses; specifically the manufacturing sector. RIMA held their first annual Awards Dinner honoring Henry D. Sharpe Jr. of Brown & Sharpe. The event was an overwhelming success in honoring an individual who contributed so much to the manufacturing sector in Rhode Island. 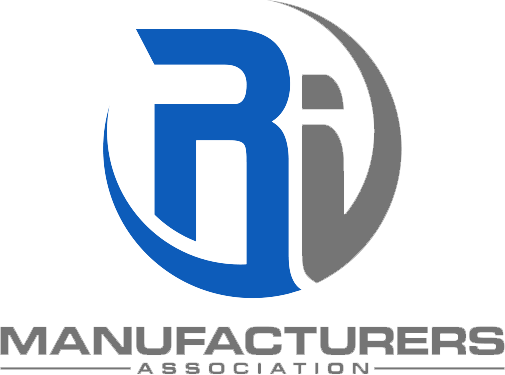 RIMA held their first Congressional Manufacturing Summit in October. Senator Reed, Senator Whitehouse, Congressman Cicilline , and Congressman Langevin participated. They each discussed current issues affecting our manufacturing members. RIMA hosted three workshops in 2018. Each was attended by over 100 attendees. Topics discussed were tax reform and research development, sales and marketing, and why you need a banker, CPA, and an attorney. RIMA partnered with TechRI, Bryant University, and OSHA to host workshops to discuss awareness on GDPR, energy and safety. RIMA testified on the behalf of over 1,600 Rhode Island manufacturers at the State House on, specific legislation that would have affected their business. RIMA hosted Manufacturing Kickoff Week at the Museum of Work & Culture in Woonsocket, Rhode Island. There were over 200 people in attendance viewing displays on manufacturing firms around the state of Rhode Island. Scott Jensen of the Department of Labor and Training, Stefan Pryor, Secretary of Commerce and Governor Gina Raimondo were all in attendance. Governor Raimondo also officially designated the first week of October as Manufacturing Week in the state of Rhode Island. RIMA executed a multi-media public relations campaign to expend public knowledge of the Manufacturing sector and its needs to thrive including multiple print articles and television appearances with leading RI reporters. Instituted a new series of quarterly workshops for the major issues impacting manufacturing including: Marijuana in the Workplace, Energy Resources and the evolving Healthcare Market. RIMA became a founding member of Rhode Islanders for Affordable Energy to support the Invenergy gas powered energy facility and other responsible means for controlling energy prices until affordable and reliable renewable energy sources are available. Successfully advocated for the state appropriation of $3.65 million dollars for an Advance Manufacturing program at Davies Career and Technical High School and the expansion of the Innovation Voucher program to more small manufacturers. RIMA is an active member of the Business Coalition advocating for common sense policy solutions to improve Rhode Island’s overall business climate.